Associated with more than 20,000 lung cancer deaths annually, radon is a serious national health concern. The EPA recommends that every home be tested for radon, and any home with a concentration of above 4 pCi/L have radon mitigation systems installed. 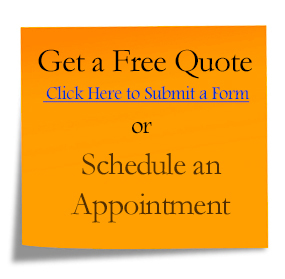 Contact The Radon Pros to schedule 2 meetings. The first meeting: The Radon Pros sets up the tests in your house in an appropriate area. The second visit: The Radon Pros arrive to collect & mail out the test to a third party lab. The Radon Pros offers CRM testing, and often same day radon testing appointments are available for this kind of testing. CRM testing will give you a partial picture of what the radon levels in your home are like, but they will not give you a continuous picture of the radon exposure that your home is accustomed to year-round. Charcoal testing is the most inexpensive test available to test for radon levels. Like CRM testing, it offers a short term glimpse of the radon levels in your home rather than an ongoing picture of environmental changes. Charcoal testing should have multiple tests run during different seasons to check the accuracy and long-term significance of the results. Our region has higher than average radon levels due to our bedrock and various soil conditions. View the New York State radon map here.